I would like to thank everyone for their kind words about my uncle, Jim Hole, who passed away last week. He was the youngest of nine children in the Hole family, and he and my father, Ted Hole, were very close. 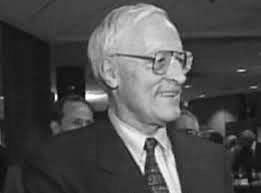 As many people are well aware, Uncle Jim was a great leader in our community and he loved his home city of Edmonton. Anyone who got to know him quickly learned that he was a smart and astute businessman and that he also had a very keen sense of humour. Uncle Jim loved to tell me that when people thought that he was the “gardening guy” from St. Albert, he would gladly provide them with advice on how to grow plants even though he was a professional engineer and not really a plant person! Uncle Jim was truly one of the greats and he will be deeply missed by his friends, family, and the community at large. But exceptional people like Uncle Jim are never forgotten. I will deeply miss his kindness, generosity, and sense of humour, but his legacy will endure for eternity.